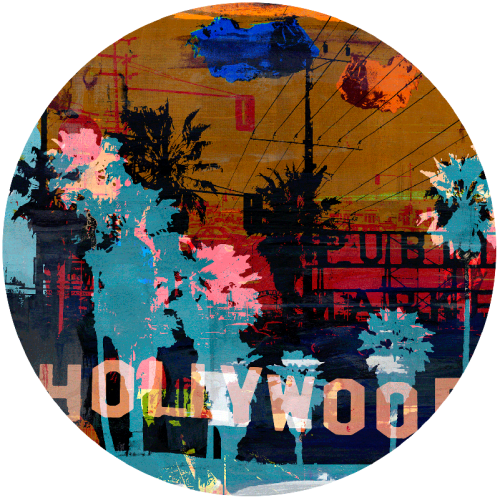 The muted hues of burgundy, green and ocher create the perfect contrast and background for shining neons of the Los Angeles city scene. 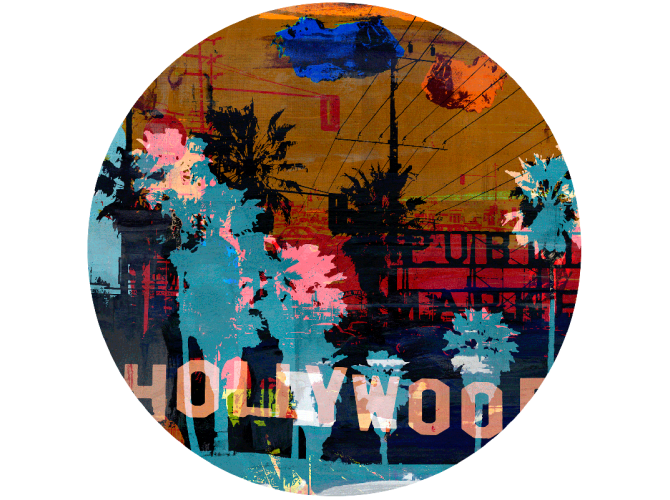 The “California Dreaming 2” artwork evokes the nostalgic reminiscence of hot days in Hollywood. 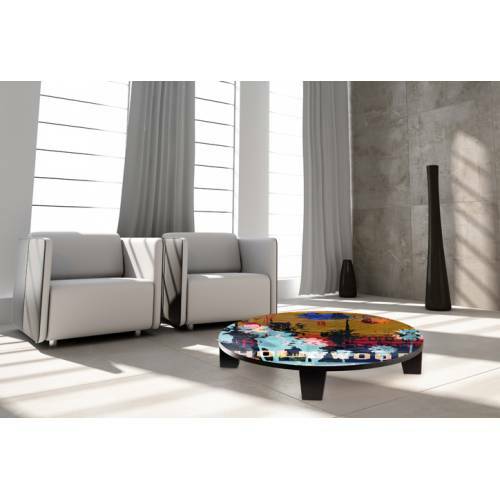 The “California Dreaming 2” art table merges artistic expression with functionality and brings design and beautiful art to the forefront of any room.